Okay, so maybe you can’t class a slice of this cake as one of your five a day. But hey a girl can dream. It may not be super healthy but it is pretty effing spectacular. I love carrot cake, I think it comes in close second behind lemon cake in my personal cake ranking system. 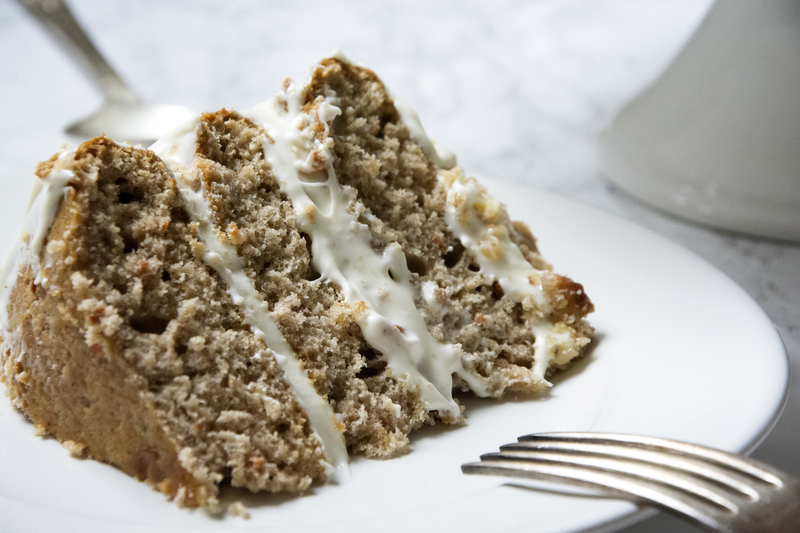 This cake is beautifully moist and flavoursome, the cinnamon gives it an extra kick. 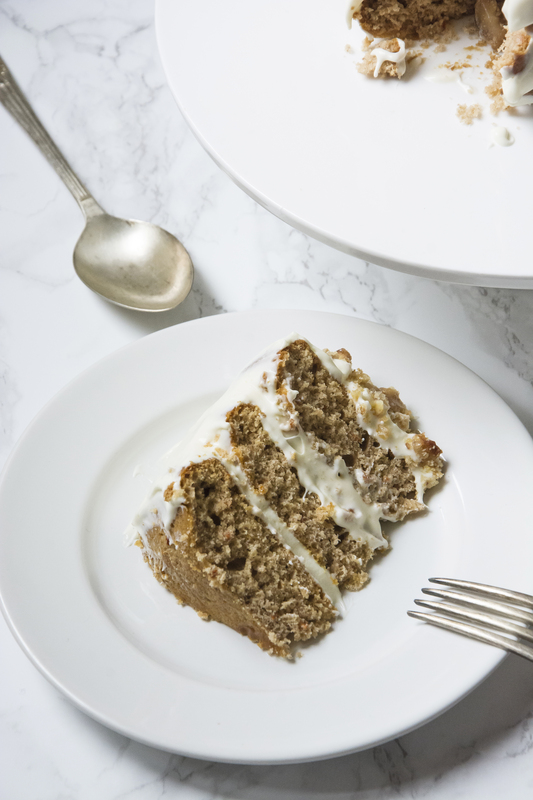 Feel free to experiment with other spices to flavour it, or omit the spices altogether for a more traditional carrot cake. 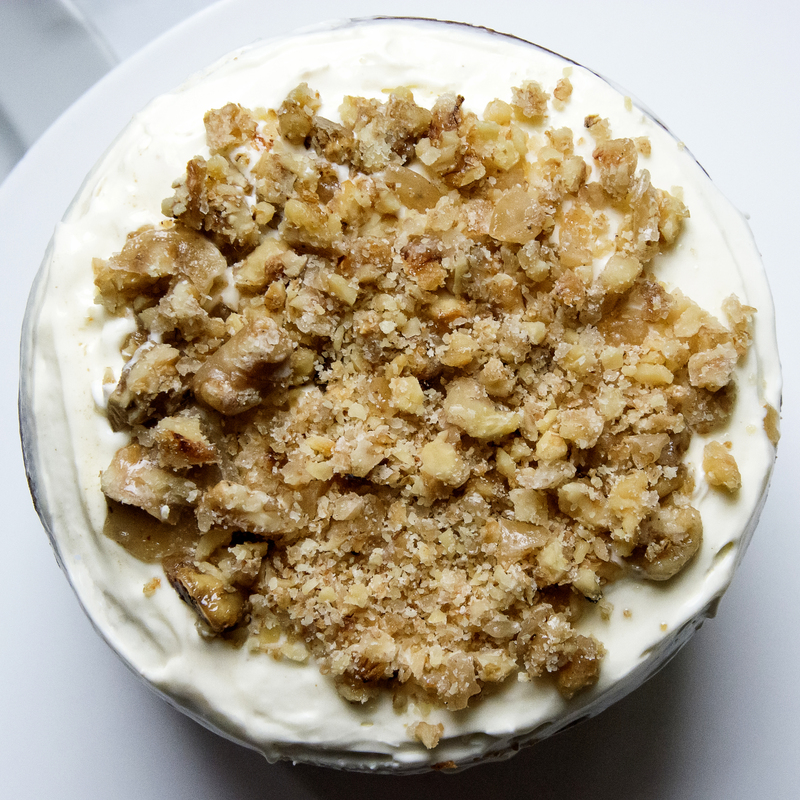 I feel like carrot cake is always a winner. I don’t know anyone who doesn’t love carrot cake. Perfect for any occasion and a real crowd pleaser. Its always good to have a real crowd pleasing recipe in your back pocket. Spray your pans with cooking spray or grease with butter. Line with a circle of baking paper and sprinkle with a little flour for good measure. Into a bowl, sieve the flour, baking powder, bicarbonate of soda, cinnamon and salt. Fold in the flour then add 2tbsp of the hot water. Divide the batter evenly between your tins. Bake for 45 minutes in using 2 8″ pans. I used 3, 8″ shallow pans and mine cooked in about 15-20min. General rule of thumb is it needs to be golden brown and when stabbed with a skewer, the skewer comes out clean. Let the cakes cool before removing them from the tins. For the icing, beat the butter using an electric whisk on a medium speed, slowly adding in the sugar as it beats. Gently fold in the cream cheese then keep the icing in the fridge until you are ready to use it. Spread your icing even between your layers, leaving some icing for the top of the cake. To decorate either leave your walnuts whole anyplace around the topper like me you can smash them up and scatter on top. Put the whole cake in the fridge for 2 hours before serving. My best tip for any cake making is use small pans! Deep pans are a nightmare, the sides and top burn and the inside is still raw. I have a set of 6, 6″ pans that are just under an inch deep. A cake that would usually take over an hour now takes just 15-20min. Its really up to you which pans you want to use just adjust your bake time accordingly. Small shallow pans win for me every time. I think I got mine from Aldi but you can get a set from Amazon here . Both my mum and I make a lot of cakes and these were hands down the best purchase we ever made. They cut the bake time down to next to nothing. I’ve always had issues with trying to bake in one tall pan, the sides and top end up burnt and the middle is still raw. And don’t even get me started on a 2 hour bake time. These pans eliminate all of that, they really are my most reached for pans. Now I just have to invest in different sizes. If you only have one tall pan, grab 2 tea towels (or a dish towel/cloth if your in the US, I had to google this, let me know if I used the right phrase) Saturate the cloths with cold water, fold them so that they are roughly the height of your pans and wrap around the pans before placing in the oven. This keeps the direct heat from the sides and helps everything cook more evenly. You can purchase special Velcro adjustable fabric strips from Wilton or other brands specifically designed for this job but I make a lot of cakes and I’ve never really felt the need to invest in anything other than an old tea towel. I think sometimes with cake making you tend to end up with a lot of things cluttering up your kitchen that you just don’t really need. Use full fat cream cheese, trust me. I don’t know the science behind it but I know that anything other than full fat cream cheese will start to melt and separate. Try experimenting with whatever nuts you have in the cupboard or are on special in the supermarket, you don’t need to use walnuts. And that’s it! 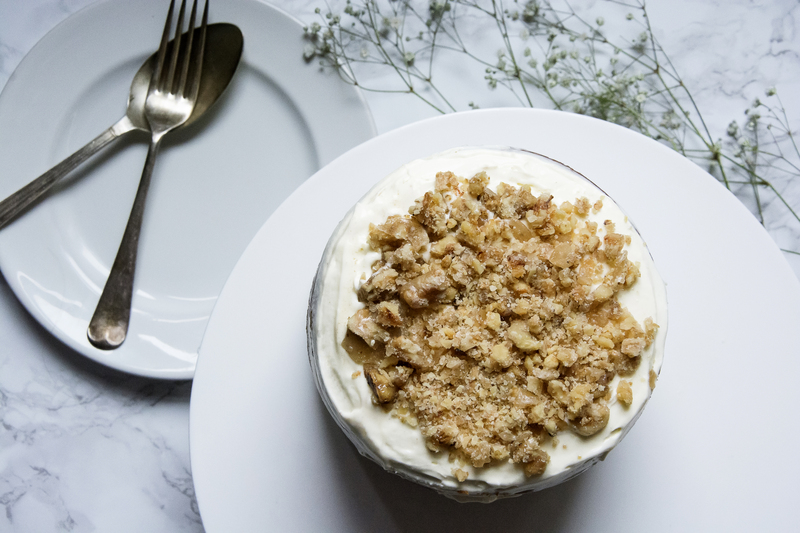 Carrot cake really is one of my all time favourites, if you decide to give it a try let me know by tagging @whatseatingmanchester in your social media post! now not positioning this put up higher! Come on over and visit my web site . Black fruit glazed baked donuts!